st comprehensive online fishing charter reservation website. It is the result of extensive research and development and the product of years of frustration encountered by the inability to search for, compare and book fishing charters online. Our www.fishingcharterbase.com is fast becoming a hub for recreational anglers and fishing charter businesses in Australia, and shortly, overseas. The founders and owners of www.fishingcharterbase.com are Andy and Matthew. Andy is a keen recreational angler and a member of the Australian Institute of Management. He manages the Australian division of www.fishingcharterbase.com from Darwin in Australia's Northern Territory. Andy has travelled extensively in search of new fishing adventures. He has regularly appeared on ABC Darwin's "Tales from the Tinny" fishing show and is a regular fishing writer and contributor to several Australian fishing magazines. Matthew also has a passion for the water and all connected with it. He is a qualified accountant and is highly skilled in IT and systems design. Matthew managed the development of www.fishingcharterbase.com and runs the day to day operations of the European and Rest of the World division of www.fishingcharterbase.com by travelling between his home in Melbourne Australia and Europe. Both Andy and Matthew liaise directly with customers and clients of www.fishingcharterbase.com and have a shared passion for developing the business. 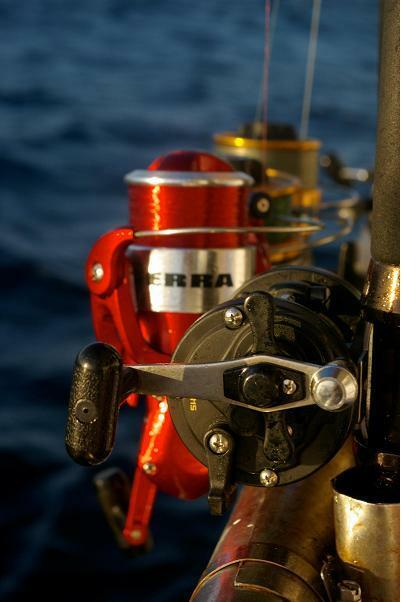 The clear mission at www.fishingcharterbase.com is to link recreational anglers with fishing charters across the planet.